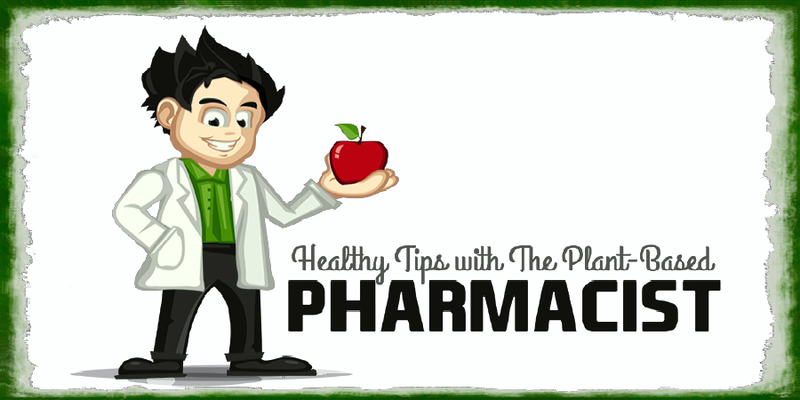 The Plant-Based Pharmacist's Blog: Childhood Vaccinations - Is The Verdict Out Yet? It's probably one of the most controversial and contentious topics in the world of parenting... should I or should I not get my kids vaccinated? This is by no means an easy subject to get a handle on as it seems like everyone from doctors to parents to the government has a different opinion on it. It would be impossible for myself to give you a perfect answer on this topic but what I will try to do is at least give you some things to think about as well as some resources to explore to help you determine whether or not you want your children to get vaccinated. The two main goals of vaccination are - protect humans from developing preventable, debilitating diseases and do so without compromising the safety of the individual. There's a lot to consider in weighing the benefits and risks of vaccinating your child before making what you feel is the right decision. If a child were to get all the recommended shots for the above vaccines they would get just shy of 30 total shots. The 12 different vaccines provide protection from 16 different diseases all of which have different severities and occurrence rates. You can definitely see how easy it is to have several questions raised with so much at stake. There have been many concerns about the ingredients used in vaccines causing harm to children that can have ever lasting consequences. The most pressing of all of these concerns has been a possible link to autism. It has been theorized that autism is caused by toxic levels of mercury building up due to children getting so many vaccines. The source of this mercury is thimerosal which is a preservative used in vaccines. Thimerosal contains ethylmercury which is different than methylmercury commonly found in fish and other forms of seafood. Methylmercury is highly protein bound and therefore the body has a difficult time eliminating it leading to toxic levels accumulating and increasing your risk of cardiovascular disease in adults[1,2,3]. Neurological and developmental deficits have also been linked to methylmercury exposure in children. Ethylmercury, on the other hand, has not been found to accumulate in the body and has not been linked to autism when used in vaccines . Thimerosal was actually removed from the majority of vaccines (with the exception of some versions of the flu vaccine) way back in 1999 as a precautionary measure. Despite this fact, autism continues to rise at alarming rates. It affected approximately 0.5 out of every 1,000 persons in the 1980's and has increased to 6 out of every 1,000 persons in 2006 . Several other large scale studies have shown no increased risk of developing autism due to vaccinations. Two studies in particular looked at a total of over 1 million children and found no link to autism and vaccinations[7,8]. The American Academy of Pediatrics has compiled a resourceful list of references regarding several studies on vaccines and health concerns that you can take a look at here. The latest research on autism actually points to several causes and we are now getting a better picture of how to treat this disease because of these efforts. I will provide links below to three articles that do a great job in explaining the bigger picture of autism to help you understand everything that's involved. I hope you find these useful and it helps put to rest the idea that vaccines are the culprit in developing autism. One health concern that has come up with vaccines is the aluminum content of these products. Aluminum is put into vaccines to help them work better. Without aluminum you would need several more shots of the same vaccine to get the desired immunity. The problem and controversy is if the amount of aluminum contained in vaccines is safe. Toxic levels of aluminum in the bloodstream, bones, and brain have been shown to occur in premature infants with impaired kidney function. But this was the case when aluminum products were injected via the intravenous route and not necessarily via the intramuscular or subcutaneous route. Also the study only found this in premature babies with decreased kidney function but what about healthy babies with no kidney dysfunction? Dr. Sears has done extensive research regarding this topic and his present day conclusions can be summed up as follows - "There is good evidence that large amounts of aluminum are harmful to humans. There is no solid evidence that the amount of aluminum in vaccines is harmful to infants and children. No one has actually studied vaccine amounts of aluminum in healthy human infants to make sure it is safe." If you are interested in more information on what Dr. Sears has to say about this topic please visit his article here. Other ingredients commonly used in vaccines include egg protein (found in yellow fever and flu vaccines), gelatin, and antibiotics such as neomycin. If your child is allergic to gelatin, eggs, or neomycin then it is best that they avoid the particular vaccines that contain these ingredients. 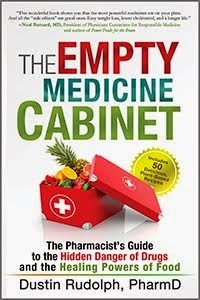 There are several other ingredients in various vaccines and if you have questions I would ask your doctor and refer you to Dr. Sears book at the end of this article. In today's world it is easy to forget the protection that vaccines give us when we no longer have to experience or see for ourselves the devastating effects of so many diseases. Vaccines have made a significant impact in reducing a number of different diseases and below is just a glimpse at a few of them. - Polio has become extinct in the western hemisphere where mass immunization has been implemented but still occurs in the eastern hemisphere where vaccinations are not in effect. Polio can lead to severe disabilities including damage to the spinal cord, weakness, paralysis, and even death. - Smallpox is now extinct due to mass immunization. It was fatal in 30% of the cases in those who suffered from the disease. - Pertussis (whooping cough) has been decreased by immunizations. Pertussis causes violent coughing and can be fatal in infants less than a year old. Though the old vaccine (DTwP) was thought to increase the incidence of SIDS (Sudden Infant Death Syndrome) the new vaccine (DTaP) does not contain the neurotoxins that the old vaccine contained and has not been linked to SIDS. - Diptheria has been eliminated from the U.S. since the introduction of the vaccine. Diptheria primarily affects the respiratory system causing the airways to swell and even close up. It can also cause damage to the heart and nervous system. Diptheria has been found to be fatal in 5-10% of respiratory cases. - Meningitis can be very serious and is fatal in 10%-14% of cases. It causes permanent brain damage, hearing loss, kidney failure, and limb amputations in 11%-19% of those surviving the disease. Widespread use of meningococcal C vaccines has led to a marked decrease in this form of the disease in the U.K. . The use of the Haemophilus influenzae type b and pneumococcal vaccines has sharply decreased the number of meningitis cases in the U.S. [12,13]. - Measles is a respiratory disease caused by a virus that is highly contagious. It causes a fever and rash all over the body. It is rarely fatal but has been shown to lead to death in 1-2 persons per 1000 cases. Since widespread immunization in the U.S. outbreaks are rare but when they do occur 90% of the cases were brought in from abroad. For those who were affected by these outbreaks approximately 90% of them were not immunized. - Mumps is a contagious disease caused by a viral infection leading to swelling of the cheeks, jaw, and salivary glands. It's rarely fatal but can cause damage to internal organs and deafness. Since widespread immunization it is rare in the U.S. but one recent outbreak in 2009 was started after a case was brought over from the U.K.
- Rubella is caused by a virus that can cause severe birth defects including brain damage, spleen & liver damage, deafness, cataracts, and heart defects in up to 20% of cases if a pregnant mother is exposed to the disease. Immunizations in the U.S. have led to a virtual elimination of this disease. - Tetanus is another disease that affects the nervous system. It is very serious and is fatal in 10-20% of cases if acquired. Tetanus can lead to paralysis of the respiratory system, abnormal heart rhythms, and seizures. Due to increased immunization and improved wound care management the number of cases of tetanus is almost nonexistent in the U.S. with only 27 reported cases in 2005. The above list is not all inclusive and there are certainly other benefits to widespread vaccination that can be found by visiting the CDC's website. Vaccines obviously have both benefits and risks associated with them. We've come a long way since their debut in the early to mid 1900's and we will certainly see more information become available as time goes on. Some safety concerns such as mercury toxicity and SIDS association with certain vaccines have already been addressed while others such as aluminum toxicity have yet to be determined. The benefits in reducing or even eliminating several serious and even fatal diseases can not be overlooked when considering whether to vaccinate your child. I will leave you with this. In my research I have been extremely impressed by the works of Dr. Robert Sears otherwise simply known to his patients as Dr. Bob. 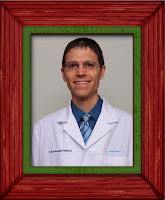 Dr. Sears is board-certified in Pediatrics and has 3 children of his own. He has done some of the most thorough research in trying to find the truth in the world of vaccinations. He values unbiased, scientific literature free of any ties to special interest groups or manufacturers in order to make fair evaluations. If you are a concerned parent I would highly recommend reading his book - The Vaccine Book: Making The Right Decision For Your Child. 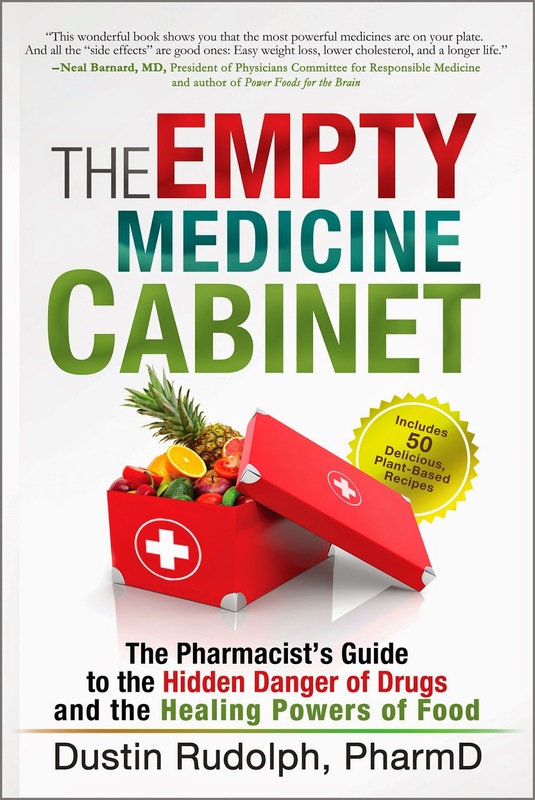 He breaks down each and every vaccine in the book in an easy to read format to help you make the best informed decision that you can about whether you want to vaccinate your child or not. 1 Salonen JT, Seppänen K, Nyyssönen K, Korpela H, Kauhanen J, Kantola M, Tuomilehto J, Esterbauer H, Tatzber F, Salonen R., 1995, Intake of mercury from fish, lipid peroxidation, and the risk of myocardial infarction and coronary, cardiovascular, and any death in eastern Finnish men. Circulation, vol. 91, p. 645-655. 2 Guallar E, Sanz-Gallardo I, van't Veer P, et al., 2002, Mercury, Fish Oils, and the Risk of Myocardial Infarction, New England Journal of Medicine, vol. 347, p. 1747-1754. 3 Choi, A.L., Weihe, P., Budtz-Jørgensen, E., Jørgensen, P.J., Salonen, J.T., Tuomainen, T.-P., Murata, K., Nielsen, H.P., Petersen, M.S., Askham, J., and Grandjean, P., 2009, Methylmercury Exposure and Adverse Cardiovascular Effects in Faroese Whaling Men: Environmental Health Perspectives, v. 117, no. 3, p. 367-372. 4 Rice, DC; Schoeny, R; Mahaffey, K (2003). "Methods and rationale for derivation of a reference dose for methylmercury by the U.S. EPA.". Risk analysis : an official publication of the Society for Risk Analysis 23 (1): 107–15. 5 Aschner M, Ceccatelli S. Are neuropathological conditions relevant to ethylmercury exposure? Neurotox Res. 2010 Jul;18(1):59-68. 6 Newschaffer CJ, Croen LA, Daniels J et al. The epidemiology of autism spectrum disorders Annu Rev Public Health. 2007;28:235–58. 7 Hviid et al. Association Between Thimerosal-Containing Vaccine and Autism. Journal of the American Medical Association, 2003; 290(13):1763-6. 8 Makela A et al. Neurologic Disorders after Measles-Mumps-Rubella Vaccination. Pediatrics. 2002; 110:957-63. 9 Bishop NJ, Morley R, Day JP, Lucas A. Aluminum neurotoxicity in preterm infants receiving intravenous-feeding solutions. N Engl J Med. 1997 May 29;336(22):1557-61. 10 Geier DA, Geier MR. An evaluation of serious neurological disorders following immunization: a comparison of whole-cell pertussis and acellular pertussis vaccines. Brain Dev. 2004 Aug;26(5):296-300. 11 Ramsay ME,Andrews NJ,Trotter CL, Kaczmarski EB, Miller E. Herd immunity from meningococcal serogroup C conjugate vaccine in England: Database analysis. BMJ 2003; 326:365-366. 12 Centers for Disease Control and Prevention. 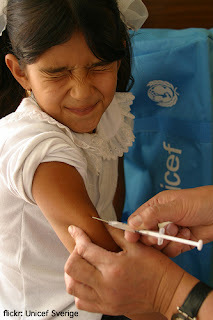 Control and prevention of meningococcal disease and control and prevention of serogroup C meningococcal disease: Evaluation and management of suspected outbreaks — recommendations of the Advisory Committee on Immunization Practices (ACIP).MMWR 1997;46(RR-5):1-21. 13 Whitney CG, Farley MM, Hadler J, et al, for the Active Bacterial Core Surveillance of the Emerging Infections Program Network. Decline in invasive pneumococcal disease after the introduction of protein-polysaccharide conjugate vaccine. N Engl J Med 2003; 348:1737-1746. Great, thorough article Dustin, thank you! I need to further research these links and also the book by Dr. Sears. I believe that the human body is much more complex than doctors can peg. I hesitate in believing the generalization that vaccines are safe for everyone. My two daughters did wonderful getting their their vaccinations (delayed calendar). However, my son had re-occurring fever, lost weight, and a host of other symptoms including rash and swollen lymph nodes. I will use caution and a lot more education before I continue with his vaccines. They wanted him to have 7 at one time "to get it over with, since he's here"
Parents need to do their homework and be an advocate for their children- I don't believe it's a "one size fits all" vaccine chart. Thank you SO much Dustin for putting all this information together- it's a breath of fresh air to get information from someone who simply wants to help people. Thank you! Given that this topic is very much in the news these days, I'm wondering if you'll be sharing any updates on this topic, or if everything in this 4-year old post still applies unchanged. Thanks!